Yes, it’s time for Motivational Music Monday once again… it’s #32, to be exact… which also means we’re at week #32 in the year, so that means there’s only about 12 weeks until Christmas, or 87 days, or 8 more paydays! Holy cow, time flies! And only 20 more days until the child turns 12!! OMG!! (See how my mind works? No worries… James and AJ are used to it.) Anyway, go let James know which song is making you happy this week! 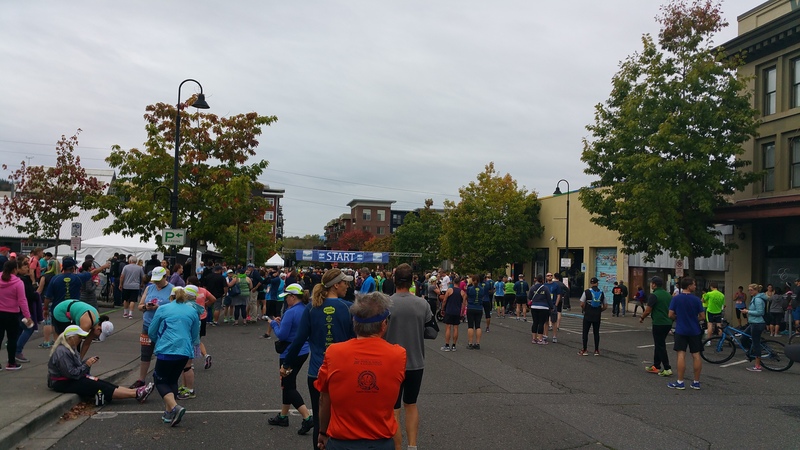 But first… Bellingham Bay Marathon was last weekend in which both James and I participated. I did drop down to a 5K with all things considered, but it was great to get out and race. I needed it. Lots and lots of work for me to do before the Tulsa Half in November. James has chosen a Maroon 5 song, so I thought I’d follow suit. With a twist. If you know me, you know I love all things Michael Bublé when it comes to music. Sometimes when I’m out on a run, I’ll only listen to his songs. One may wonder how a crooner can get you through long runs, but trust me, he gets the blood pumping. All you have to do is lose yourself in the music. A few years ago, he created a concert DVD called Caught In The Act, and of course I own it. I own all things Michael Bublé. A shirt. I don’t own a shirt. I think I need a MB shirt… then my collection would be complete. Anyway… this little clip is him giving pop music a try… he’s such an entertainer. But hey, if you want the real thing, here you go. Adam Levine has a tendency to get the blood pumping too. Enjoy! In the words of the great Chaka Khan, Tell Me Something Good! Have you been having a great week?! 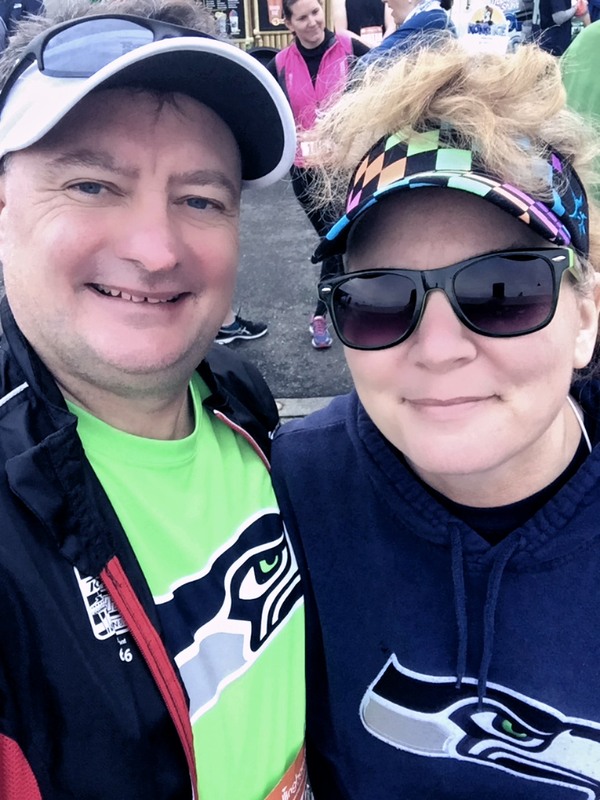 This entry was posted in Music and tagged 50 in 50, Bellingham Bay, Chaka Khan, Half Marathon, Maroon 5, Michael Buble, motivational music monday, playlist, racing, running, This Love, training on September 28, 2016 by Paula. I’m really curious about AJs mile, now. Payday weeks are awesome!! But I’m sorry there’s some bad in there for you, 😦 … yes, I know what you need, but you must wait. Let that foot heal. So with AJ just learning to run, and him dropping over 4 minutes off his first timed run 3 weeks ago, I’m simply in awe. He only had to realize he could do it. 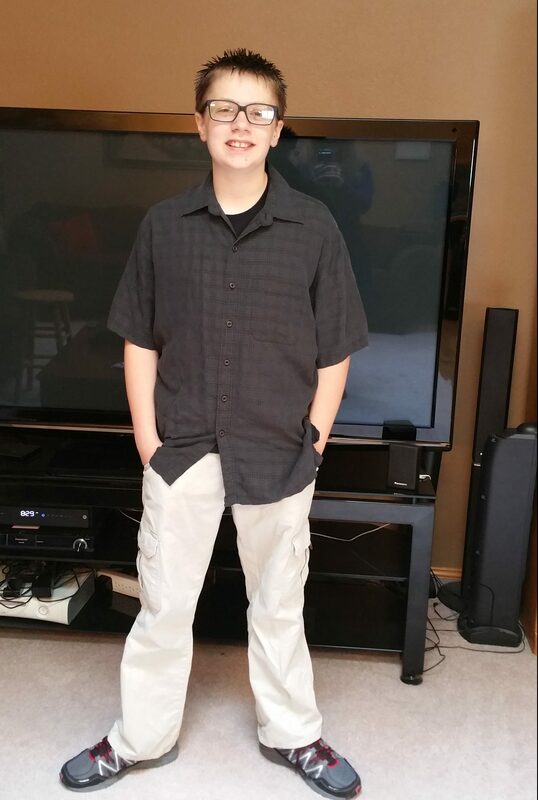 It’s so fun to watch him grow… in everything! That’s great to read. I’m really happy that the haze is gone (hopefully not to return… but if it does, that’s okay and then hopefully just needs another 5k+). I remember the first time I saw you post about AJ… he certainly has grown and it’s a pleasure to be invited to watch his journey. For me, you’re right that not running plays a part, but I think I mostly miss my huge stress-reliever (and best sleep-aid!). I occasionally struggle with anxiety, and some times it’s worse than at other times. But having money to pay the bills helps, and I finally cleared up the last steps in enrolling in the uni here that is a huge load off my mind. There’s also something daily to get excited about here, and I constantly am reminded how lucky I am to be living the life that I am. Things are looking up! Haha! what a great clip of MB!! How many times have you seen him in concert? My week is going ok…lots of chores I’ve yet to do, and running (ahem…) not so much 😦 We can’t seem to shake the humidity here, it may say Fall on the calendar but SC is not there yet! Thank you Terry! Yes, my race helped lift me up, so I’m doing much better. You take care as well! Hope today goes well. Or is this your day off? I apologize I’ve lost track of time, so I don’t know if this is your bye week. I just hope you’re doing well. Good work all of you. And that half in Tulsa won’t stand a chance. Hey Paula! You listen to Michael Buble? I used to listen to ‘Ol Blue Eyes himself when working out. “I’ve Got You Under My Skin,” (the Vegas swingin’ version) was my fav. Something about when the orchestra kicks in, it makes you want to put in that extra effort. Glad to hear you had a good time at the race with your family. Looking forward to more updates. Yes! It is all about the beat and intent. Try some Brian Setzer and Louis Prima. I don’t know Louis Prima, but I will see what I can find! Louis Prima did the voice of King Louie in the original Jungle Book. He was a big band leader and one of his best songs was “Jump, Jive, and Wail!” which Brian Setzer covered for the Gap commercial in the 90’s. He also was the original singer of “Just a Gigolo” that David Lee Roth remade in the 80’s. I hope you enjoy him! Happy to see you out and about! Glad you went for a race, that is awesome! Thanks!! It helped immensely!! See what I did there with the title on my post? I thought your little puzzle was so fun I had to copy, hehe! Have a great weekend! That Buble dude know he can sing! His improv was so funny! You actually brought to my attention that we are in week 32! Isn’t that amazing? You are right, time flies! I speaks da truth! LOL!!! Yaaay for AJ! Those birthdays seem to come quick. I guess we can safely say that time flies when you’re raising kids! !